Hunters Estate Agents and Letting Agents Bishop Auckland are a local family firm offering a full range of services – Sales, Lettings, Property Management, Auctions, Mortgages and FREE Property Valuations. Their aim is to always provide the very best service that they can. All their agents are fully trained via the Hunters Training Academy so you can trust that you are in safe hands. You know who you are dealing with at the Hunters Bishop Auckland branch, they own the business and they will always be available to discuss your property needs face to face - no getting passed around. The team are passionate about offering the “No Sale, No Fee” as they believe it is really important that you only pay when your property sells. They don’t believe in non-refundable upfront fees, if your circumstances change and you can no longer sell then you have paid £££ for nothing. Hunters Estate Agents Bishop Auckland offer FREE Property Valuations on homes, businesses, land and property portfolios - whatever you have to sell then call the branch to discuss. If you need a valuation then they do this for free as a service to the community, there is no obligation to go on the market. The team at Hunters Bishop Auckland offer 100% accompanied viewings 7 days a week including out of hours. They believe that we should be there at every viewing not only as they are trained to sell the property but also for your safety and security. Hunters list on ALL the main portals to ensure you get the best exposure on Rightmove, Zoopla, On The Market and Prime Location. Why choose us for lettings? Hunters Letting Agents Bishop Auckland offer a Fully Managed or Tenant Find service on their lettings properties. If you are a seasoned investor or just looking for your first, then we are here to help. Buying a cheap house is easy, getting it in the right area to give you the right investment return is more difficult, but Hunters Letting Agents Bishop Auckland are here to help. For FREE expert advice on the right areas and properties, give us a call on 01388 311 582. The team at Hunters Bishop Auckland can also put you in touch with reliable local trades’ people who can give you free quotes on everything from minor upgrades to full rebuild. From the Hunters Estate Agent office in Bishop Auckland we cover most of County Durham from St Johns Chapel across to Durham, Barnard Castle and Darlington. Auctions - Hunters Bishop Auckland offer the full range of auction services both traditional and the new modern menthod. Mortgage Advice - the team can offer expert advice regarding buying your next home or re-mortgaging your current one. Renting - If you are looking to rent a property in Bishop Auckland or County Durham then get in touch with Hunters to "register for rent" and let us help you find your next home. No Sale, No Fee - We don't charge upfront fees and there is no fee until your property is sold. Feedback - You dont have to wonder what is happening with your property, we call you! FREE - You get all marketing on Rightmove, Zoopla, On The Market and Prime Location for no extra charge. FREE viewings - All viewings are free 100% of the time, 24 hours a day, 7 days a week, to make sure you get the best price possible. FREE - We make sure you get quality photography for your property, no fuzzy photos or funny angles. FREE - Accurate floorplans are a must and our agents in Bishop Auckland do them 100% of the time. FREE - We offer a free sales progression service. Many sales fall through after the sale, so professional sales progression in key when selling your home. 24/7 - Here at Hunters Estate Agents and Letting Agents Bishop Auckland we work when others sleep. We are available at weekends and out of hours, we are working for you! We would love to help get you moving so please get in touch. You can contact us now on 01388 311 582 or on email bishopauckland@hunters.com or pop into our branch for a chat. VAT Reg No: 189 3259 62 | Registered No: 09085047 | Registered Office: 38 Front Street, Sunniside, Bishop Auckland, County Durham, United Kingdom, DL13 4LP. 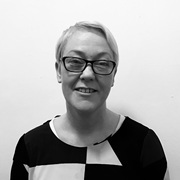 A Hunters franchise owned and operated under licence by Steadman-Lloyd Ltd.
Leanne has over twenty years’ experience within the property sector having originally started work as a weekend negotiator when her children were small. During Leanne's 20 years in Estate Agency, she has worked at management level for independent market leading agents who specialised in both sales and lettings. Leanne brings a vast wealth of knowledge and experience! Joining Hunters in 2015, Louise's aim has always been to provide the highest level of service for property owners as well as tenants/buyers looking for a place to call home. 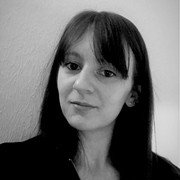 Louise now focuses mainly on Lettings, dealing with the full let process from the start to the finish. 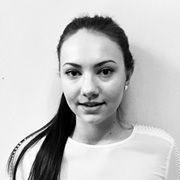 Louise has just completed a Diploma in Residential Property Letting and Management, to further her knowledge and ensure she is providing the most up to date information and advice to all clients, at all times. 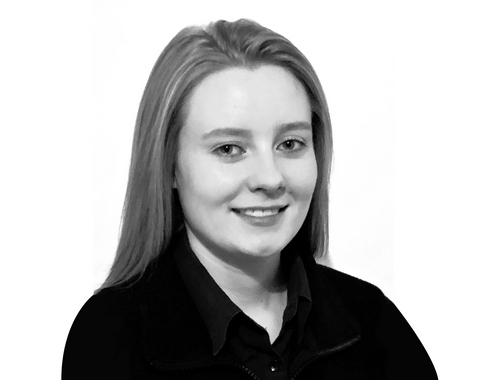 Caitlyn has been with Hunters since the branch at Bishop Auckland opened in August 2014. Her role as Customer Service Manager is to ensure the branch provide the best service possible working with clients to find their ‘Dream Home’ and reducing the stress that comes with buying, selling and renting. Bishop Auckland in County Durham is situated at the confluence of the River Wear with its tributary the River Gaunless. The town nestles in the rivers' valley and is a fantastic location to explore the beautiful Durham countryside. Bishop Auckland is located about 12 miles (19 km) northwest of Darlington and 12 miles (19 km) southwest of Durham. The town is served by Bishop Auckland railway station, which marks the point where the Tees Valley Line becomes the Weardale Railway. The town is not served directly by any motorways but has excellent road links up into the Dales to the West or to the East you are only a short distance from the A1.Notable wards include Cockton Hill, Woodhouse Close, and Henknowle. Additionally, once neighbouring villages such as South Church, Tindale Crescent, St Helen Auckland, and West Auckland now more or less merge seamlessly into the town. The town has a number of Grade I listed buildings. The grounds of Auckland Castle alone contain seven such structures. Additionally Escomb Saxon Church, St Andrew's parish church, St Helen's church, St Helen Hall, West Auckland Manor House, the East Deanery and the 14th century Bishop Skirlaw bridge are all Grade I listed. Other notable buildings include the town hall, a Victorian railway viaduct and Binchester Roman fort. Bishop Auckland is built on the line of the old Roman road which explains why Newgate Street (call in and see us at 115 Newgate Street) and Cockton Hill Road are so straight. Bishop Auckland is famous for its amateur football team, Bishop Auckland AFC, which won the FA Amateur Cup 10 times in the Trophy's 80 year history, having appeared in the Final on 18 occasions. Bishop Auckland Football Club also helped out Manchester United after the Munich Air Crash in 1958 by donating three of their players, Derek Lewin, Bob Hardisty and Warren Bradley. The adjacent village of West Auckland is notable for having been home to the team to win one of the first international footballing competitions, the Sir Thomas Lipton Trophy, sometimes referred to as The First World Cup. Its team of local coal miners won the cup in the Easter of 1909 and again in 1911, defeating the mighty Juventus in the final. This story was portrayed in the 1982 television movie "The World Cup - A Captain's Tale" made by Tyne Tees Television and starring Dennis Waterman. The cup itself was stolen from West Auckland Town F.C. in 1994 and a replica now resides in West Auckland working men's club. In terms of sports facilities, Woodhouse Close Leisure Complex, a council run leisure centre, has a 25-metre (82 ft) by 10-metre (33 ft) swimming pool and a 10-metre (33 ft) by 5-metre (16 ft) "learner" pool, as well as a gym, sauna, steam room and spa pool. Additionally, football pitches, tennis courts and bowling greens are provided at the Town Recreation Ground and Cockton Hill Recreation Ground. Henknowle Recreation Ground has a 5 a side pitch and a basketball court. Stan Laurel of the comedy duo Laurel and Hardy lived in the town during his childhood attending the town's King James 1st Grammar School. His parents owned the now demolished Eden Theatre, which was located at the junction of Newgate Street and South Church Road, in August 2008, a statue of Stan Laurel was unveiled on the site that his parent's theatre once occupied. If you're thinking of selling, buying or letting in Bishop Auckland, visit our local homepage for sales and lettings and find out how we can help.